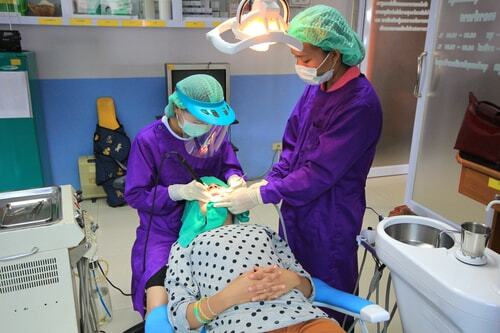 Many dental clinics offer sedation dentistry for patients who experience extreme anxiety when in the dentist’s chair. Sedation dentistry can be used for many procedures, including cleanings, filling cavities, and extractions. In order to determine the right amount of sedation dispensed, dentists must consider the length of time needed to do the work or make repairs, and discuss with the patient their level of apprehension. Minimal sedation — The patient is completely awake but relaxed. Moderate sedation — Patients may slur their words but are still able to answer questions. They may not remember the majority of the procedure. General anesthesia — Patients are completely unconscious throughout the entire procedure. After determining the right level of sedation, dentists will suggest options with the patient. Oral sedation — Your dentist will give you a pill to be taken one or two hours before your procedure. Its effects may make you dizzy, but you’ll remain awake.. Inhaled sedation — You will be given a mask to inhale nitrous oxide (commonly known as “laughing gas”). It will make you feel relaxed and in a positive state. IV moderate sedation — Sedatives are administered through a vein. These take effect immediately. Deep sedation and general anesthesia — Patients under deep sedation cannot wake up until the effects wear off or are reversed with medication. 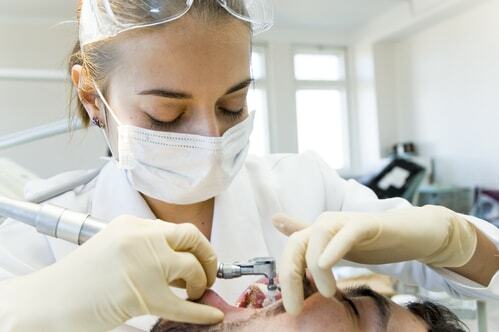 Regardless of the type and level of anesthesia your dentist provides, it is most likely that you will also receive a local anesthetic in the mouth. In the case of oral sedation, make sure to have a trusted friend or family member drive you to the appointment. In all cases, arrange to have that person pick you up after the procedure, as you will not be able to safely operate a vehicle or take care of yourself for a few hours. 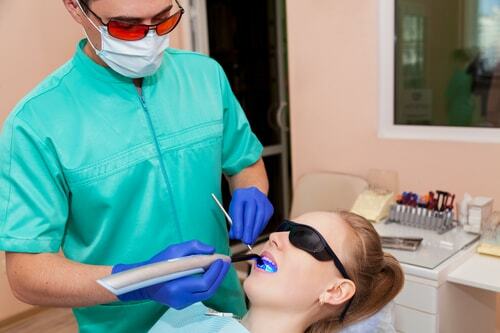 Sedation dentistry is a safe option for people who suffer from dental anxiety or dental phobia. It helps patients relax and alleviates pain. However, this procedure can also be beneficial for other purposes. Sensitive gag reflex. Sedation dentistry helps relax your gag muscles so dentists can finish the work without interruption, and you will feel calmer. 3. You have sensitive teeth and gums. Sedatives can help hypersensitive patients feel less pain or concern during dental work. 4. You want to save trips. For patients who require lengthy procedures, sedation dentistry allows more to be accomplished per visit. Sedation dentistry can be a viable option for patients whose dental needs require extra attention. If you have anxiety about visiting the dentist, call Dr. Mark Rhody Dentistry at (416) 231-428 to book an appointment. We will provide you a caring, comfortable atmosphere and discuss your sedation options.